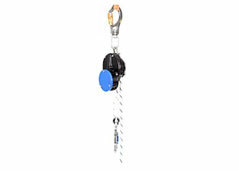 Descender devices can be used with cableways for safe and controlled abseil descending of persons from blocked cableway vehicles. different classes. The class distribution depends on the descent distance and the number of persons to be lowered. The device class is important and must be observed in the selection for cableway rescue. 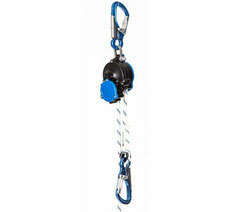 IMMOOS rope reverser "Stopbloc 2"
The IMMOOS rope reverser "Stopbloc 2" has been specially designed for cableway rescue. It is extremely small and easy to use. With 1.5-fold looping, the holding force is reduced to approx. 30%. 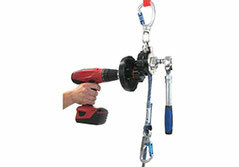 The descent speed can be individually controlled with a rope brake. 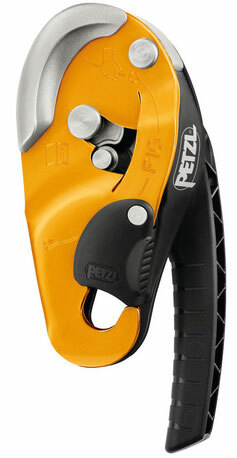 combination with the rope reverser "Stopbloc 2". 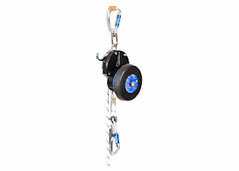 With the rope brake, the descent speed can be controlled and braked at any time. Very light lowering device with automatic brake, with which a constant lowering speed is achieved. 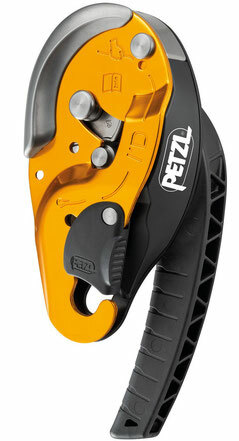 The new rescue and descender device RG11 easy combines all the best features of the rugged and legendary RG10 with the revolutionary technology of the patented automatic backstop. 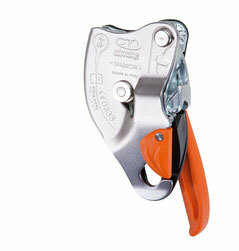 The descender RG 11 has the same features as the model RG 11 easy, but does not have the comfortable backstop. 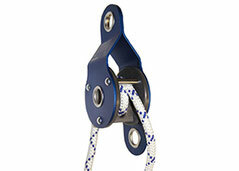 handwheel so the carabiner can be released and then descended together. 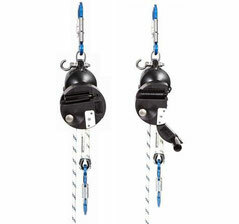 Self-braking lowering device with anti-panic function, that is, the clamping nodule blocks the rope when the user pulls on the lever too hard or lets the lever go. 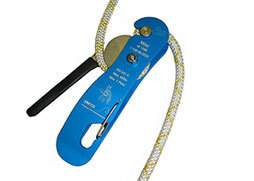 Self-braking abseil descent device with anti-panic function, that is, the clamping nodule blocks the rope when the user pulls on the lever too hard or lets the lever go. device in place on the rope. 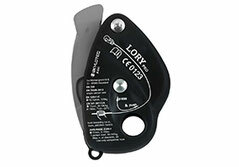 Intuitive to handle and equipped with an automatic blocking mechanism and a panic function for additional safety when abseiling, the «Lory Pro» is recommended for beginners and professionals.